DELRAY BEACH, FL: The Delray Beach Chorale’s spring concert, titled Festive Americana, will celebrate some of America’s greatest composers. Now in its 33rd season, under the direction of new Artistic Director Dr. Patricia P. Fleitas, the 65-voice chorale will perform at the Duncan Theatre in Lake Worth on Friday, March 20th at 7:30 pm and at the First Presbyterian Church in Delray Beach on Saturday, March 28th at 3:00 pm. Dr. Fleitas comes to the Chorale with more than twenty years of experience as the Director of Choral and Vocal Studies at Florida Atlantic University and years of serving as guest conductor of numerous musical organizations, including the Palm Beach Symphony. She is recognized for her excellence in teaching, performance and leadership and is a sought after choral judge and clinician. The Delray Beach Chorale’s mission is to promote and encourage the art of singing and to share the experience of great music with the community. Although their initial focus was on the classics of great choral literature, both traditional and contemporary, over the past several years they have broadened their musical scope. The Chorale also operates a Music Academy Program, the only one of its kind in South Florida. The young professional musicians selected as Artists-in-Residence perform as soloists with the chorale, act as section leaders, and provide instruction to a select group of talented high school singers who also sing with the chorale. These young performers will be showcased in the spring performances. Tickets for the Delray Beach Chorale’s Spring Concert are $25 in advance and $30 the day of the concert. $5 student tickets (under 25, with ID) are also available. Tickets can be purchased on-line at http://delraybeachchorale.org/ or by phone at 1-800-984-7282. Special Group Rates (15 or more) are also available. The complete concert program is available on request. 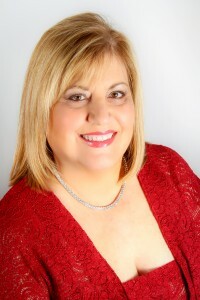 For more information about the Delray Beach Chorale, please visit http://delraybeachchorale.org/ or contact Carol Kassie at – 561-445-9244 / ckassie@gmail.com.